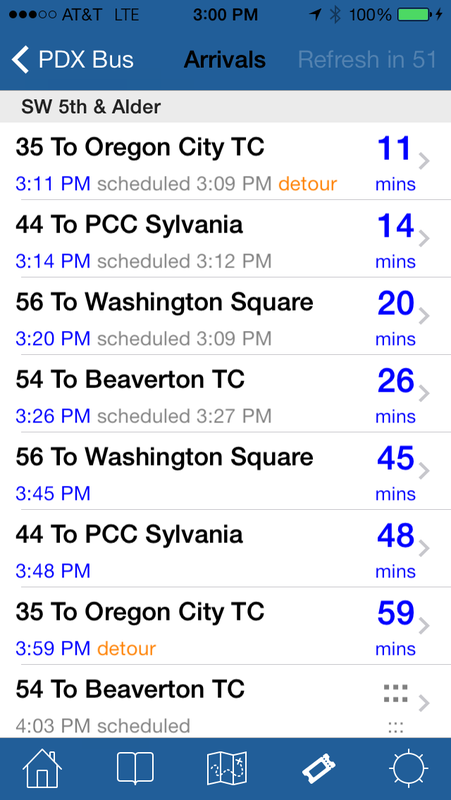 PDX Bus - a free Open Source iPhone app for Portland bus and train times: PDX Bus 6.1 ready! Apple has approved a new version that fixes many small bugs and adds a couple of small features - this is a recommended upgrade for all users. 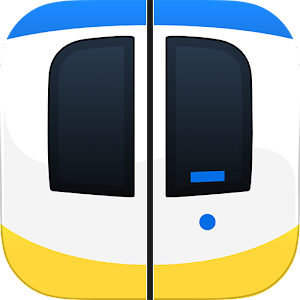 - Now caches arrival times, so users can still see arrivals with no network (especially for iPod touch, as requested on this blog below). - Night Visibility Flasher can now flash the LED. - Added Twitter style "Pull to Refresh" feature to arrivals. - Added a quick locate toolbar item to the first screen. - Fixed many small bugs, including issues discovered with Apple's latest tools. This upgrade is great! 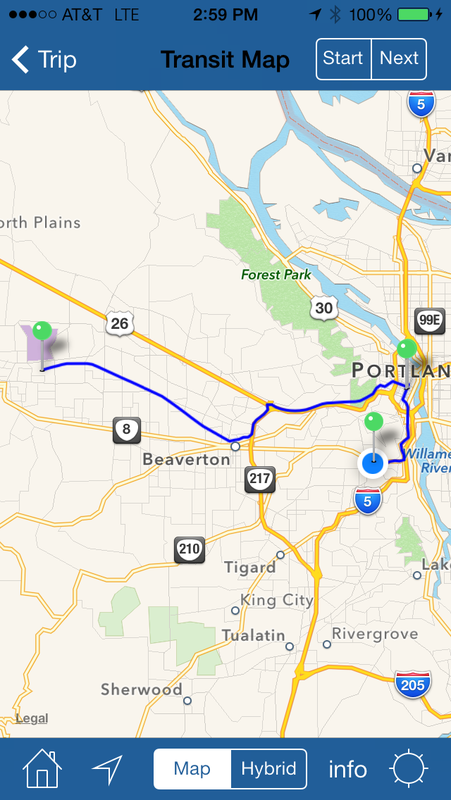 As an iPod Touch user, the cached arrival times are especially helpful. Much easier than trying to remember the different times buses are coming before leaving the house. One addition that I would highly recommend would be adding offline/downloadable schedules for iPod Touch users. I know this may be stretching it a bit from the app's general function, but as far as I know, there is no other app that provides offline TriMet schedule information. This would be an incredibly useful feature. Thank you for taking my comments into consideration, and for providing such a great app! Thanks for a great app. Recently, I've run across the problem that the location service stays on, even if I close the program and restart. I read that we should not close the program while locating a stop, but I have not done that. This problem is draining my battery. Best, Dave. Dave - that used to be a problem, but I would need to know exactly what screen you were on when it happened - I released 6.1 in order to fix this and I thought I have found it everywhere!